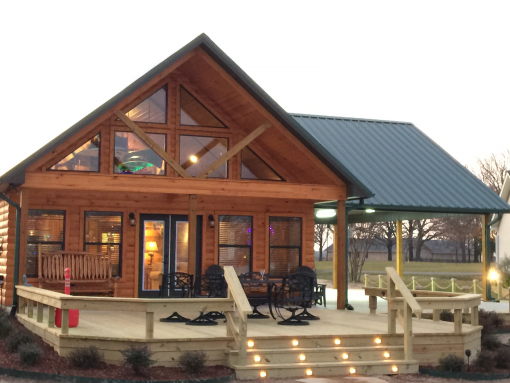 Sunrise Lodge I, the newest addition in premium Lake Fork lodging built from the ground up for serious bass fishermen and those looking for a truly unique experience. 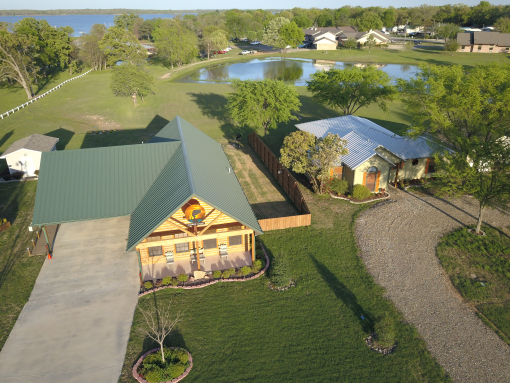 Sunrise Lodge I is located on the lake in Marina Estates adjacent to Lake Fork Marina with a short five minute walk along the lake to both Lake Fork Marina and Tiffany’s Restaurant. One of a kind features throughout, including specially designed oversize “Boat Port” with overhead lighting and built in overhead electrical. This “Boat Port” is large enough to house two fully decked out bass boats and allow enough room for anglers to prep for their next day’s fishing. 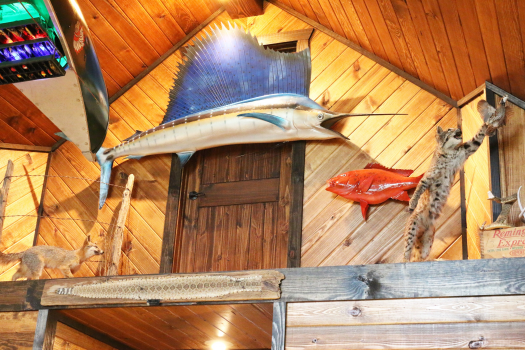 The interior of the lodge is furnished with many one of a kind collections, including one of the largest fish scenes on Lake Fork, which include replicas of most of Lake Fork record catches. A true gem among Lake Fork resorts. The perfect place to relax after a great day on the lake! Contact us at 214-906-5583 to book your dates now! Superb attention to details. Friendly hosts. Gorgeous facility! Met my adult kids here for a mini family reunion, and we had a blast. Perfect setting to relax and get away. The lodge is smartly decorated to the nth degree, and the hosts provide numerous extras. Coffee on back deck with sunrise over the lake. 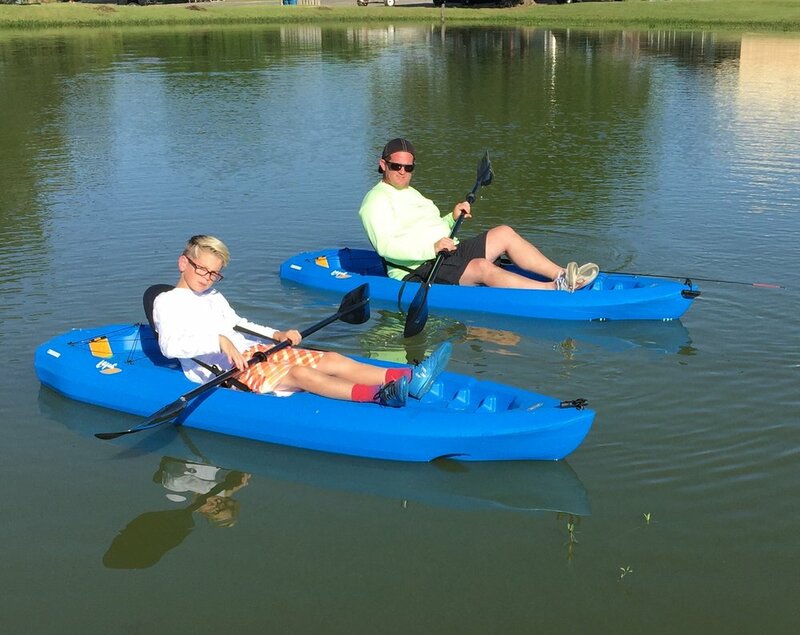 The canoes & kayaks are a pleasant bonus & peaceful way to enjoy Lake Fork's charm. Spacious lawn for outdoor activities. We topped it off with grilled steaks and zucchini, eating on the dark with colorful mood lighting and music via portable Bluetooth speaker. Relaxing, stress-free, delightful! Thanks M&J for sharing your homey, comfortable lodge with the world. Thanks so much for sharing Sunrise Lodge with our family from North Carolina and Alabama. Your facilities are “First Class” with everything included to make their stay and our visit with them a stress free and fond memory. We are looking forward to booking your facilities in the future for other guests and would highly recommend you as the “Premier Lodging” on Lake Fork and the surrounding area. The craftsmanship of the building and the interior furnishings and exterior landscaping were impeccable and very comfortable. Your attention to the smallest details and “all inclusive” amenities truly allowed for a care free stay; all we needed were some groceries and everything else was already there. Thanks again for sharing your Lodge with our Family. -- Bruce & Millie F.
We stayed at Sunrise Lodge for a Spring fishing trip, and had a great time. 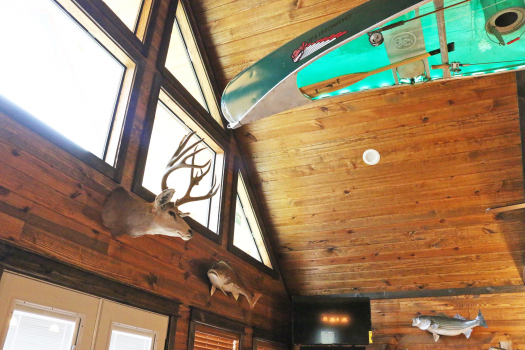 The Lodge was perfectly equipped with everything we could have ever needed, and is in great proximity to the Marina. We particularly enjoyed our cook-outs, and just hanging out in the serenity of the back deck. Mike and Jeanette were readily available any time a question arose, and we enjoyed visiting with them! We will definitely return to Sunrise Lodge! Your Lake Fork experience is waiting! Call now 214-906-5583 to book your dates!